Until recently, I developed my black and white film using Paranol S a one shot Rodinal type developer by Tetenal. I’ve developed Neopan, Tri-x, TMAX, FP4 and even Ferrania P30 with Paranol S and up until recently never had any issues. A few rolls ago something strange happened, my negatives developed very thin with barely any image on the celluloid. Thin negatives could be caused by underexposure, expired, contaminated or incorrectly mixed concentrate. Cold developer or insufficient agitation could also account for the problem. Although I felt confident that none of these factors was an issue, I could not be sure as I developed the film in my usual robotic way and was not expecting anything unusual to happen. So I decided to try one more roll, this time paying attention to make absolutely sure I did everything correctly. This third roll came out even thinner, almost transparent. Not wanting to risk using that bottle Paranol S anymore and as I now mostly shoot TMAX films this presented me with a good opportunity to try Kodak TMAX Developer. 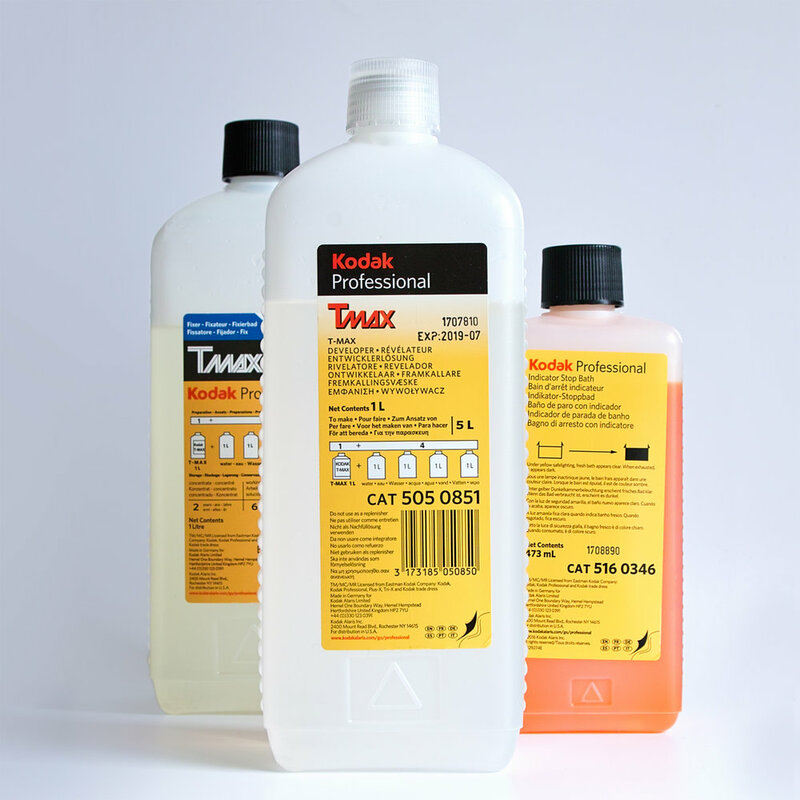 Easy to use the 1 litre liquid concentrate is meant for dilution at 1:4 making 5 litres of working solution in total. Each 1 litre mixed batch develops up to 12 rolls, with extended development times as needed or 6 month shelf-life, whichever comes soonest. This is not intended as a review of the developer itself more a report of my initial findings using it. To me, the first results appear to have a wider tonal range with better shadow and grain detail. I guess this should be unsurprising as it has been optimised for TMAX films but nevertheless, it feels like a progressive improvement over Paranol S. Probably the real test is trying it on other film stocks? All photos shot with a CONTAX RTS II and Zeiss Distagon 28mm ƒ2.8 on 35mm Kodak TMAX400. • Developed for 6:45 minutes at 20ºC with continuous inversions for the first 15 seconds and 5 inversions every 30 seconds thereafter.